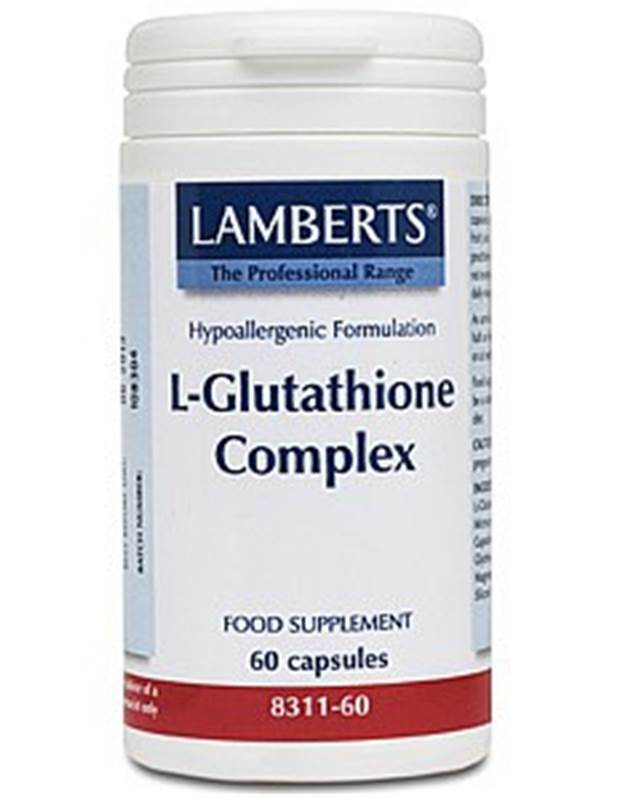 Lamberts L-Glutathione Complex is a powerful antioxidant designed to neutralise harmful free radicals that can harm tissues & organs. Glutathione is a tripeptide containing glutamic acid, cysteine and glycine. Since it can be formed from these three amino acids in the body, it is deemed non-essential, in that is does not have to be obtained from food. As cysteine is relatively rare in foodstuffs, it is this amino acid that is the rate-limiting factor in glutathione synthesis by the body. Glutathione is found in all cells in the body, with the highest concentration being found in the liver, making it critically important in the detoxification and elimination of free radicals. It forms the enzyme glutathione peroxidise which is one of the body’s most powerful antioxidants. Metabolically, glutathione has numerous functions. It plays a substantial role in the functioning of the body’s immune system. And its antioxidant property makes it vital to white blood cells. It even helps keep antioxidants such as the vitamins C and E in their active forms. Lamberts® Glutathione Complex contains good levels of each amino acid as well as complete glutathione to maximise absorption. Produced in premises that operate to stringent pharmaceutical standards of GMP. Hypoallergenic formulation. A white powder in a clear hard shell capsule. Cellulose Capsule Shell (Gelatin) Magnesium Stearate Silicon Dioxide. 1 to 3 capsules daily. It is preferable to take amino acids with fruit juice or water rather than milk. An amino acid is best taken ½ hour before any meal or at bedtime. This product is not recommended for children or growing adolescents or pregnant or lactating women. 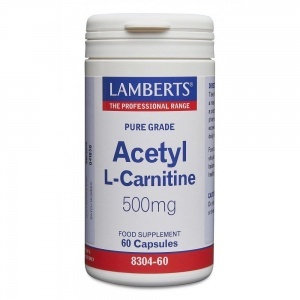 Lamberts Acetyl L-Carnitine 500mg health supplement is a one-a-day formula important amino acid that helps energy production.